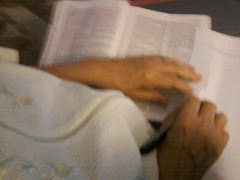 On December 27, 2011, throughout my day the Lord encouraged me much through his word and through songs. One of the passages of scripture that he led me to read was Psalm 119. Over the years since receiving my Bible as a gift from my children, I have underlined and even dated many sections of this passage of scripture, because the Lord had spoken to me through them. Again these words of David came alive to my heart, as the Lord Jesus was speaking many, many words of comfort and hope to my heart. The Lord had already given me a tune earlier in the day, and I sensed after reading Psalm 119 that he wanted me to put this Psalm, in abbreviated form, to this music he had given to me. The song is about the word of God that I have hidden in my heart so that I might not sin against God. Jesus is the Word, so the Word is in my heart, and the written word, as well, is in my heart through study and application of its truths to my heart, and through obedience to those truths. I learn of Your righteousness. Do not let me stray from Your law. Wonderful things in Your word. I am a stranger on earth. My heart is set on Your word. For I have sought out Your truth. For I believe in Your law. In Your word I put my hope. My heart trembles at Your word, Lord. May my lips o’erflow with praise. May my tongue sing of Your truth, Lord. Your salvation, Lord, long I. Your word, Lord, is my delight.